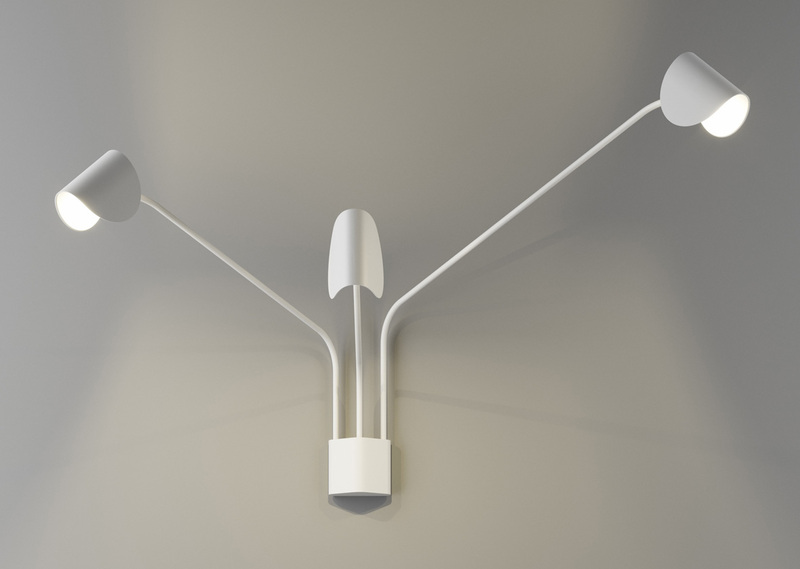 Io, designed in 2015, is shaped like a small, bent moon-disc wall lamp. Rotating and tilting along its polar axis, suspended at tiny distance from the wall. 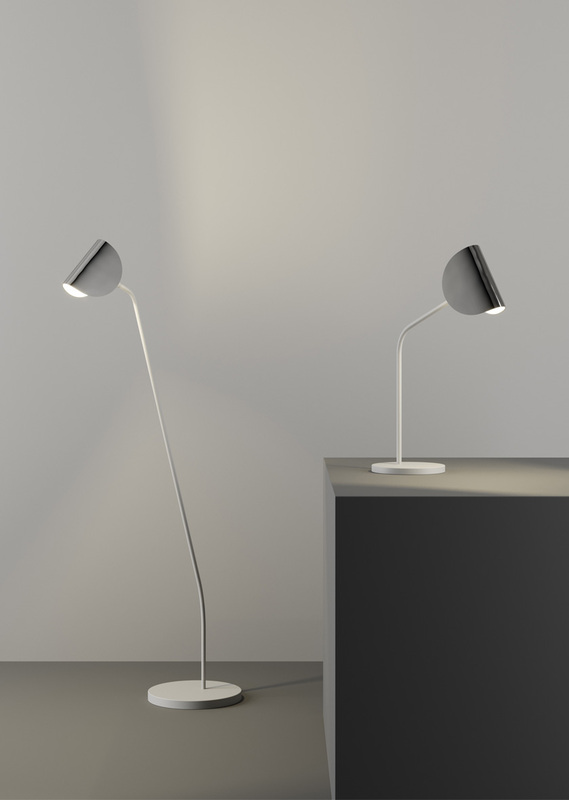 The same bent moon-disc now sits at the tip of slender stems, creating new typologies for the Io collection. It still rotates and tilts but now with its light focused in one direction, perfect for reading in its floor or table versions, or to point light at selected spots from the two or three-armed wall version.